- Baoji Oasier Bio-Tech Co., Ltd. 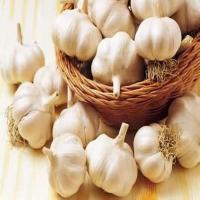 It had been thousands of years since people used garlic for medical purpose. Eating garlic or taking nutritional supplement of garlic extract is often considered as a natural way to lower cholesterol, blood pressure and reduce heart disease risk.But how to eat garlic in a healthier way?